Recommendation: Recommended, especially for Italian Air Force enthusiasts. Many people may not be aware that the Airacobra flew in Italian service after the Armistice. Indeed, 170 P-39s were handed over to Italy. These aircraft were in such poor condition that 21 never again took to the air. So if you like heavily weathered models, here is a great opportunity for you! It is a credit to the Italian ground crews and pilots that they managed to get 149 Airacobras airworthy and flew them to good effect over the Balkans. With many nice clear monochrome photos and six interesting colour side profiles, I am sure that many people will find this book of interest. When someone says "...and now for something completely different", this must be what they mean! 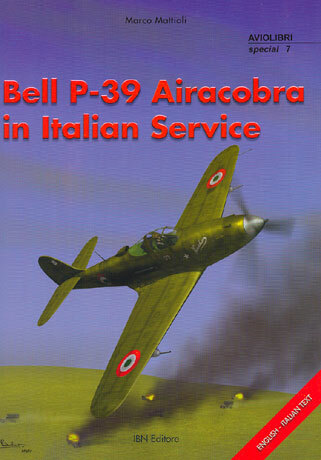 Recommended to all you Airacobraphiles or Italian Air Force nuts out there. Thanks to IBN for the review sample.